For guitarists, achieving recognition and fame through one’s unique ability to imagine, craft, and perform is a satisfying and rewarding experience that distinguishes the musician as exemplary. The Guitar Foundation of America (GFA) holds the International Concert Artist Competition each year, awarding the lucky winner an extensive international tour, a cash prize, a recording contract, and a publishing contract. 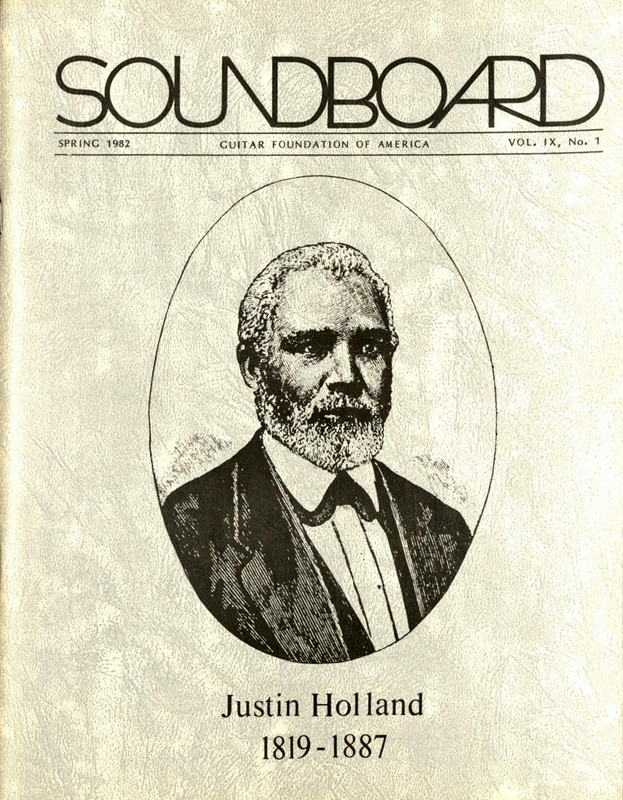 Soundboard magazine, held in Special Collections and Archives, allows us to revisit the experiences of competing guitarists over the award's thirty-five year history. 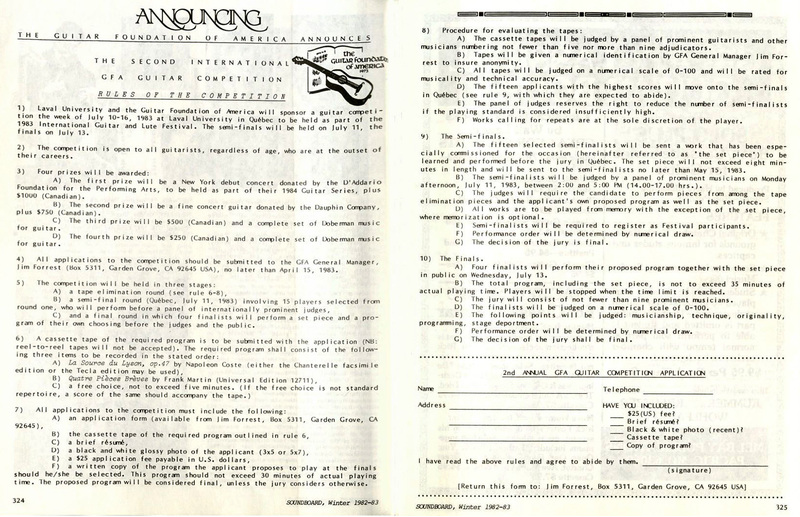 The first GFA competition was announced in the 1982 spring edition of Soundboard magazine. In order to be considered for the finals, contestants were required to perform to specific criteria, which consisted of three pieces selected by the jurors. It attracted twenty-three entrants, which were then cut down into four finalists, Michael Chapdelaine, Douglas Reach, Raymond Williams, and Antonio Lopez, who then performed for a live audience and a panel of judges. After much deliberation, top honors went to Michael Chapdelaine, who moved the panel through his excellent choice of repertoire and virtuosic playing. The judges found the Nocturnal by Benjamin Britten and Etude No. 12 by Heitor Villa Lobos to be the best interpretive performance of the competition. 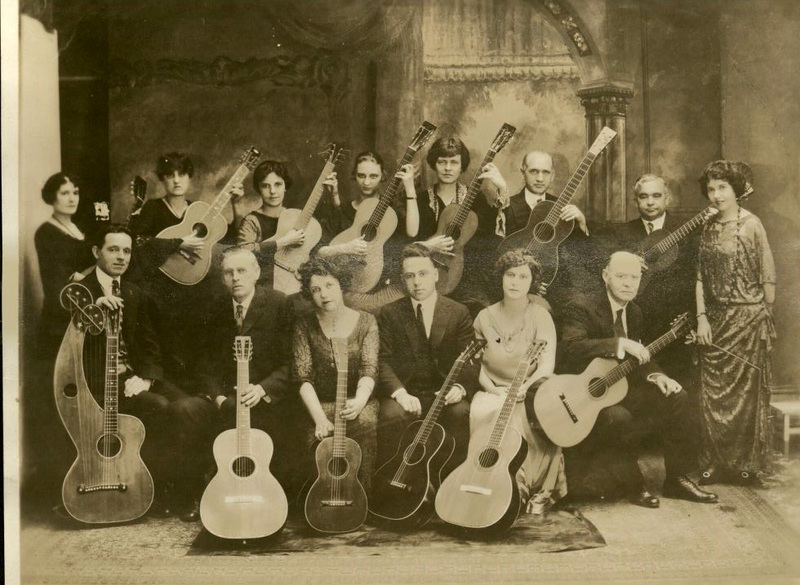 The competition quickly gained acclaim and many more guitarists applied, leading the GFA to expand the criteria for the following year. A strenuous set of rules were established such as a three-stage system for the competitors, with each successive stage asking each guitarist to prepare different repertoire. The first round consisted of tape eliminations, where the competitors would turn in an audio cassette of the GFA required pieces to be judged by a team of five to nine adjudicators. Fifteen players would then proceed into the semifinals where they would play a GFA chosen composer's piece and then their tape submission from the previous round memorized for a panel of outstanding musicians. Ultimately, only four would be selected to play their proposed programs, no longer than thirty-five minutes, which were submitted during the tape elimination round. They would then play for a live audience and a panel of no fewer than nine jurors. 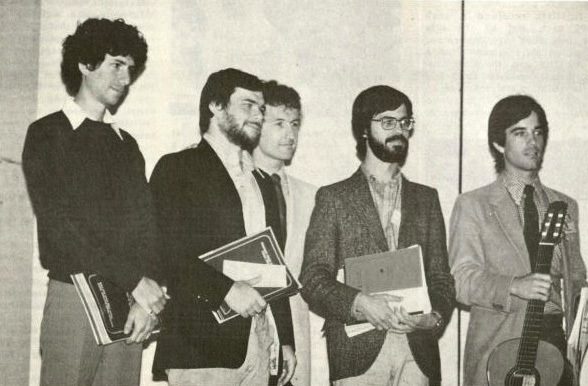 In the case of the 1983 competition, the finalists were Stephen Aron, Patrick Roux, Adam Holzman, and Jurgen Schollman. The competitors took note of repertoire that they selected and made sure to utilize their best abilities in their selections. 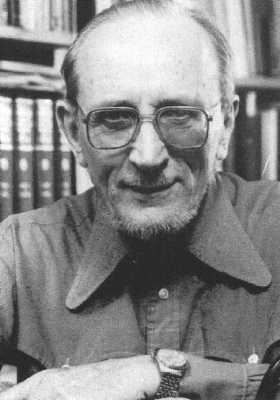 Stephen Aron, for example, finished his program with Barrios’ La Catedral, a three movement piece in which the last one ends with a captivating allegro, which the jurors thought to be "an excellent presentation" of his abilities. Patrick Roux however, had the attention and appeal of the audience with his mellow approach to his music, such as in the Villa-Lobos Etudes no. 5, 8, and 11. In the end, the winner was Adam Holzman who demonstrated virtuosic musicianship and most notably presented an order of familiar pieces to the jurors that helped secure his first place victory. Among his choices, he played the entire Fourth Lute Suite by J.S. Bach with a rhythmic drive that kept the jurors and audience on the edge of their seats and Albeniz’s Sevilla, leaving the audience very gratified with the ring of familiar music. The Guitar Foundation International Concert Artist Competition of America has since been an annual competition that brings forth many phenomenal players. Many guitarists bring different repertoire to the competition, offering a vast selection of music for the judges to listen to and interpret. 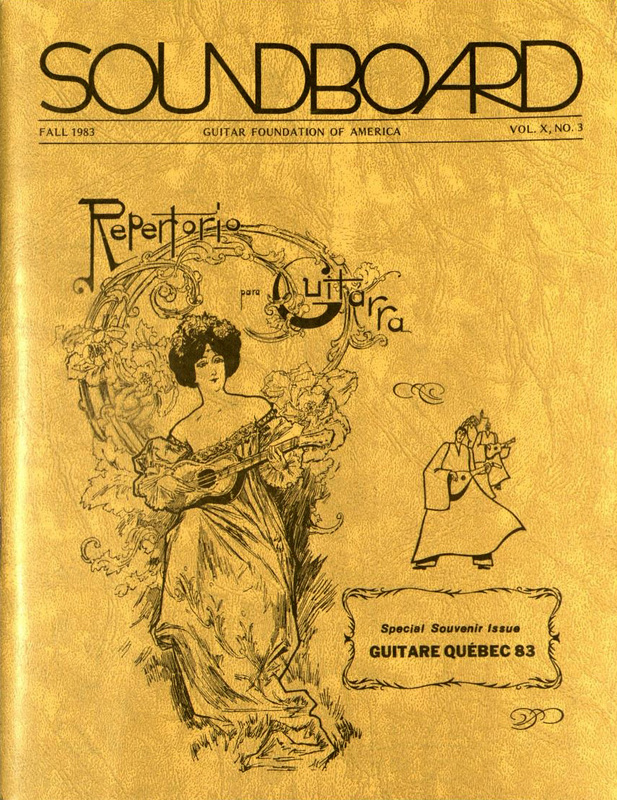 Some of the music from previous competitions can be found in collections that are part of the International Guitar Research Archives (IGRA), such as Britten’s Nocturnal (1982) in the Howard Lutwak Collection Thème varié et Finale (1987), Marche Funebre (1988), and Six petites pièces faciles Op. 5 (1990), which are all in Vahdah Olcott-Bickford Collection, and La Catedral (1983), Fandanguillo (1991), and Sonatina (1994) from the Vicente Gómez Collection.